Q-Auto Was established in July 2012 under the leadership of HE Sheikha Hanadi Nasser Bin Khaled Al-Thani. As the newly appointed dealer of Volkswagen and Audi, Q-auto strives to deliver unparalleled levels of quality, commitment and service excellence. Our Management Team is built out of energetic, unwavering and constructive professionals. We have carefully selected staff of different nationalities, backgrounds and knowledge in order to provide our customers with a truly global buying and servicing experience. 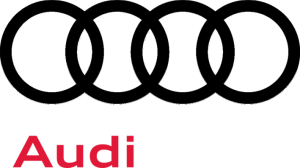 You will be delighted by our Audi & Volkswagen state-of-the-art facilities. However, selling a car is only one part of the equation. That's why Q-auto also aims to provide customers with an un-matching, high level of vechile servicing and maintance. We are very passionate about what we do and we cannot wait to share our knowledge and experience with you!